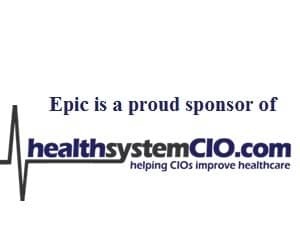 In the past few months, our fantastic Epic informatics physicians partnered with our EHR analysts and developed a new way to improve the circumstances of our physicians using the Epic EHR. We all know about the national plight of physicians and the epidemic of ‘burnout.’ Much of this burnout is attributed to the documentation burden of interacting with an EHR. Of course, having lived through the past 22 years of the birth and growth of informatics, this situation is a stake through my heart. I know, for a fact, that the future of healthcare requires a high-functioning Electronic Health Record, and a team of forward-thinking informaticists looking to tie together this often-mindless, multi-headed beast of a health care system with a nimble, responsive, intelligent, adaptive, predictive nervous system. At its best, an EHR can remind, prod, nudge, assist and sometimes advise and improve the care of individual patients, and even entire populations and communities. So it is heartbreaking to hear stories of doctors retiring, “burning out,” losing the joy of practice, and looking forward to retirement, citing the EHR as a reason. A lecture series in the early AM, at noon, in the evening (mostly flops). We tried anonymous email tips (‘The Surgeon’s Friend’). It was funny, and maybe some folks read it, but no. We tried adding a topical “Haiku” poem (the Epic Haiku, get it? ), and hoping that at least my colleagues might read 17 syllables about Health IT. As a result, I received email critiques on my syllable count and not adhering to the “true spirit” of Haiku. We tried restricting our IT ‘optimization’ and tech improvements efforts to those items that would benefit most of our 3,000 physicians (thus, being very generic improvements, not specialty-specific, and like milque-toast, accepted blandly). For example, making general improvements to the sorting of the Problem List (partnering with a company called IMO on their Intelligent Problem List), adjusting Chart Review to be easier to navigate, for all doctors, etc. We tried an ‘EHR Genius Bar’ stolen whole-cloth from Apple, where we waltzed into clinic with a steel rolling table “borrowed” from the OR, and parked ourselves in a conspicuous corner of the clinic. (Thanks to Trish Milton-Hoffman for sneaky execution of this project “under the radar.”) We brought a couple of IT analysts, a trainer, and a physician informaticist to administer the Genius Quiz (top 10 ways to be more efficient in the EHR). Those answering more than 7 of 10 right got an ‘I’m a Genius’ sticker, with (pick one) a picture of Einstein or Homer Simpson with a tiny brain. And, if you were not yet a genius, we would teach you tips until you were a genius. At least the stickers went over well. Actually, this effort went over very well, with physicians feeling “heard and appreciated” for their struggles. The team spent a week in clinic, observing use of the EHR (amazing what one can spot in about 30 minutes of silent observation). Then, there would be 1:1 training sessions specific to the individual physician’s “pain points” and specific struggles, and the analysts would occasionally “fix” some templates or smart-phrases, or set up some preference lists and short cuts. Eventually, the physicians who wore their ‘genius’ stickers on their hospital badges piqued the interest of other docs who were ignoring us, leading to a snowball effect of interested docs dropping by the Genius Bar. Unfortunately, dedicating even a small team of analysts, trainers, and docs to this effort was costly (the opportunity cost of other projects they were taken away from), and requesting the formal budget to fund such a team, or teams on a more permanent basis, was very, very difficult, as it never had a “return on investment” that would show up in dollars. And, such a team could “only” help one clinic at a time for a week. With our health system encompassing 50 clinics back in 2011, and 350-plus now, our work would never be done. After living on for several months, and helping out about a dozen clinics, even this effort closed its doors. Is Agility the Key to Reducing Physician Burnout?